With the rise of blockchain projects, there’s a new need that appeared in our industry: Identity verification. Indeed, companies are required to implement a KYC (Know Your Customer) process. And that’s where VeriME come into play, with their digital identity verification platform. While you may be a newcomer in cryptos, if you’ve tried to buy bitcoin, you know what I’m talking about. That’s the painful process of filling in your details, uploading your ID documents and taking pictures with your webcam. Because right now, that’s how most platform perform their KYC. Their team knows the challenges of KYC: A process that is slow, expensive, risky and tedious. Not only for companies, but for all the users as well. And that’s why they developed a solution, D-KYC, to perform identity verification in seconds. It’s pretty impressive already, but wait, there’s more! The company also offers to solve the problems of authentication. Because authentication is pain in the a** on most platforms, really. And even if you use multi-factor authentication (like 2FA), it’s not secure enough. In addition of being not convenient and not flexible… As a result, their team developed D-SECURE, to allow a seamless and secure authentication of users in milliseconds. While this look like a great project, I don’t have time to go into the details. So I recommend you take a look at their white paper for the full description. The project will release a native utility token on ethereum ERC20 Smart Contract: The VeriME token, code name VME. And they’ll issue 1,000,000,000 VME tokens. These VME tokens are the cryptocurrency of the ecosystem for payment of service fees. So mostly companies will be using the VME tokens. And users will receive VME tokens for performing their KYC and authentication on the platform. How to get the free VME tokens? It’s pretty easy to participate to VeriME crypto airdrop. Indeed, a Telegram bot is handling it. So you have to have a Telegram account, with the app on your device. And you can click on this link to get started. You’ll reached the VeriME Bounty Bot. And you need to click on Start, to show a quick description of the project. And most importantly, to show the bot menu! First of all, you need to click on Join our Telegram Group (+5 VME) to get 5 free VM tokens. And you can get up to 5 shares (from the bounty program) if you spread the word about the project. So what do you have to do? 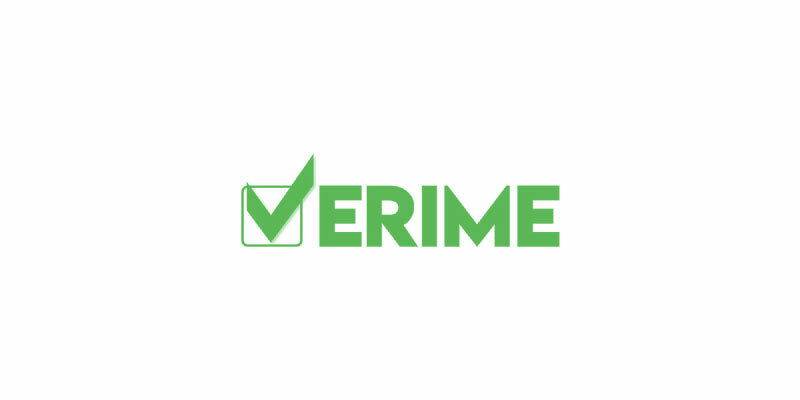 First, click on Spread the word about VeriME (+5 VME). And the bot will display a list of articles you can share on Facebook, Twitter and other social media. Take a screenshot of each share and click on Submit Share Link/Screenshot (+5 VME) to let them know about your work! Now that you’ve earned VME tokens, you need to submit your eth wallet address. So click on Submit Details, then fill in your ethereum address (not an exchange address!!!). And press enter. You’ll get a confirmation from the bot. Finally, click on Refer A Friend (+5 VME) to get your referral link. And you can get even more free VME tokens. For each friend that joins their bounty program, you can get 5 VME tokens. But you need to make sure they share at least one of the links! VeriME is a digital Validation-as-a-Service (VaaS) which plans to disrupt the crypto-companies. By offering them lighting fast KYC and authentication solutions. And they're giving away free VME tokens. Don't waste time and claim yours now!